Looks like Hero won’t have to worry about dinner after all. Now, unleash the pressurized can of Whuppass(tm). Careful! One distracts from the front while the other attacks from behind! 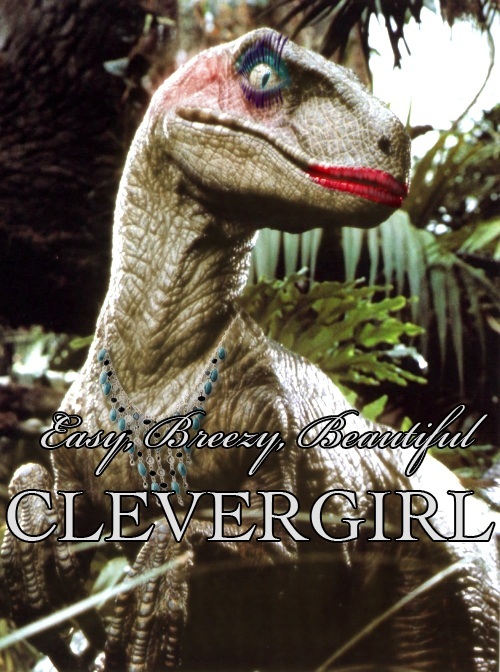 The “Clever Girl” Maneuver! 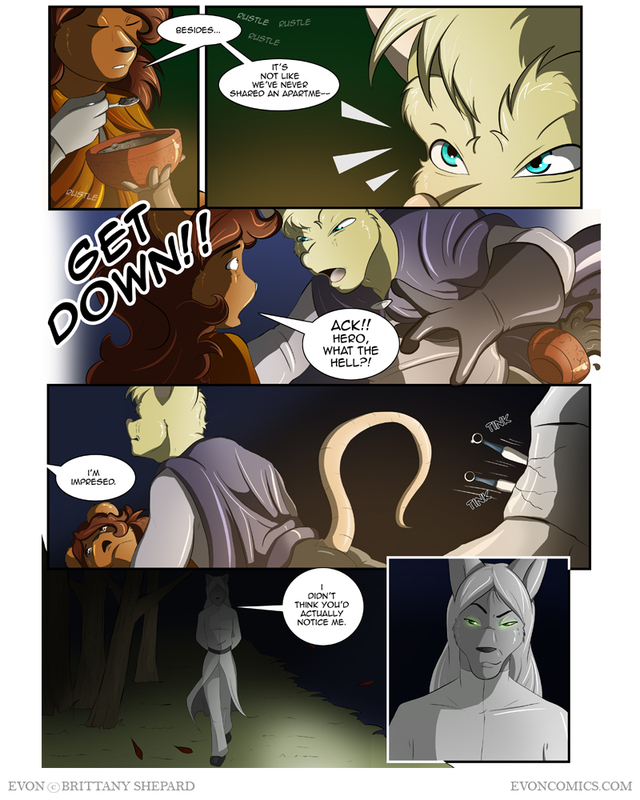 @Estoc: She doesn’t get much chance for physical contact from him, I think she should take what she can get. 😀 Only too bad she can’t stop to enjoy it. That was brilliant! I has new wallpapers! Thanks D! Theres no way the assassins would arrive that fast…. 4th panel. Bow. Chicka. Bow. Wow. That is all. Will you go back to the 3 day week after school? Or will it remain a Friday only comic? Either way is cool with me, and I can only hope to be this good with my own ventures. I’m hoping to return to three day a week updates, but after graduation that will more than likely mean that I’ll have to find a full-time job, and since making comics isn’t paying at the moment I’m not exactly sure if I’ll be able to update more than once a week. So for now I’m going to say that Evon will only update on Fridays for the foreseeable future, but it’s all a matter where life takes me. Thank you for the swift response, and that is okay if it is only a once a week comic.